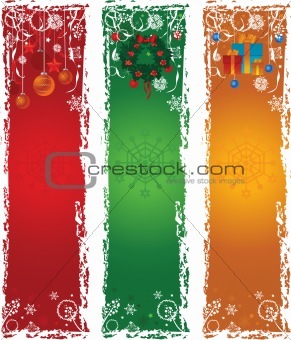 Image Description: Three vertical Christmas banners. Blue, green, red with winter decoration. L 16.0 x 18.7 cm 6.3 x 7.4"
XL 19.7 x 23.0 cm 7.7 x 9.0"
XXL 27.8 x 32.5 cm 10.9 x 12.8"
XXXL 35.9 x 41.9 cm 14.1 x 16.5"